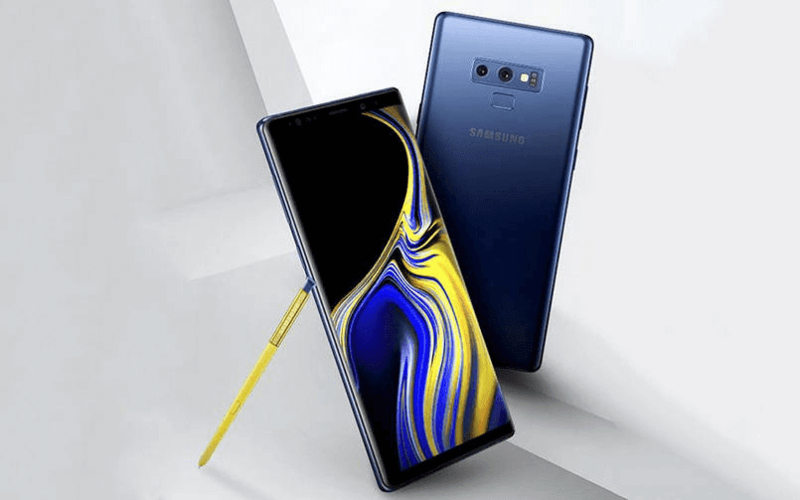 Samsung has finally unveiled its highly anticipated Galaxy Note 9 in Brooklyn, New York. At the event Samsung Mobile President DJ Koh took the stage to introduce the Note 9 with a all new Bluetooth enabled S Pen ( Stylus) and some other interesting products such as a new Galaxy home speaker and Galaxy Watch. At the event DJ Koh claimed the Note 9 to be the world's most powerful smartphone and that it is the largest Note series smartphone ever produced. 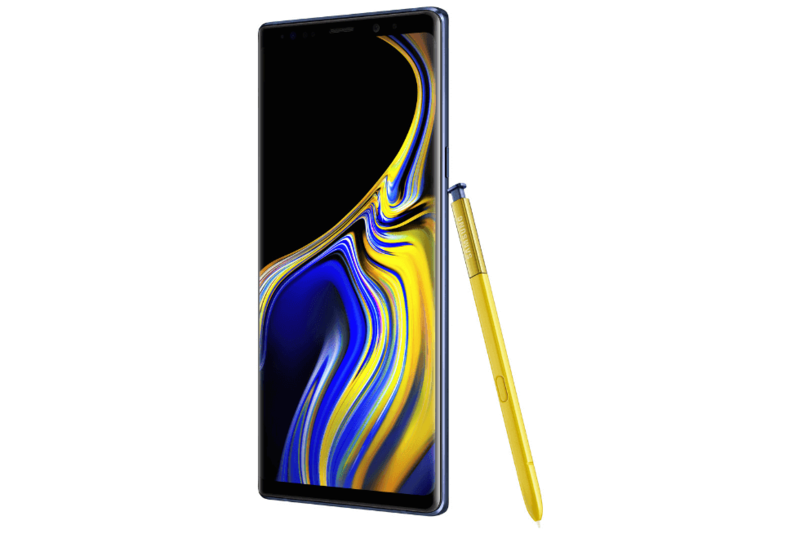 Samsung Galaxy Note 9 Features 6.4 inch Super AMOLED display with resolution 1440 x 2960 pixels and aspect ratio 18:9. The display is HDR10 compliant and comes with support for Always On Display. It is powered by either Exynos 9810 chipset/ Qualcomm Snapdragon 845 processor depending on the region, all of this will be coupled with 6GB RAM + 128GB internal storage and 8GB RAM + 512GB internal storage which can be expanded via micro SD card up to 512GB. The device run on Android 8.1 (Oreo) and will pack a 4,000 mAh battery which is 20% bigger than its predecessor and promises a full day usage for most demanding users while it is expected to provide two day usage for the regular users. The camera department of the Note 9 is featured with a dual 12MP +12MP sensor with variable aperture tech that ranges from a wide f/1.5 to f/2.4. Both sensors have Optical image stabilization (OIS) and Samsung’s new Intelligent Camera that will automatically recognize a scene ( 20 different scenes) and it will tweak the colors, white balance and contrast to make it look its best, it will also detect blinks and bursts and will intently notify the user so that he could take another shot with out using missing the moment. On the front their is a 8MP camera with aperture f/1.7 for selfies. The Galaxy Note 9 is having an upgraded version of Bixby which be more conversational and useful, as it also integrates a number of new services, such as Google Maps, Yelp, Uber, and so on. 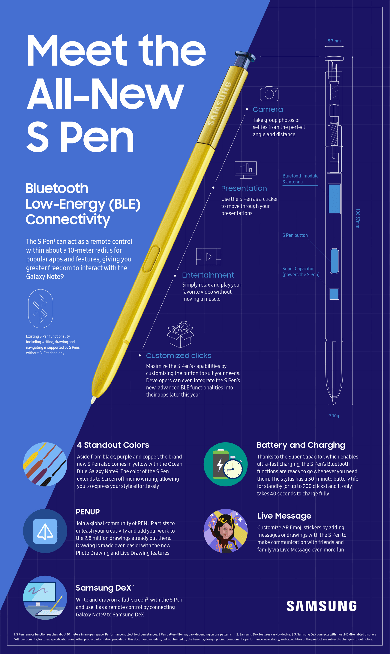 Now coming to the most important aspect of the Note 9, the all new S Pen is now updated with Bluetooth connectivity and features an in-build battery which enable the users to remotely operate the smartphone. This could mean that the S Pen could be used to the control different aspects such as to control the shutter of the camera while taking selfies and to control slides on a presentation. 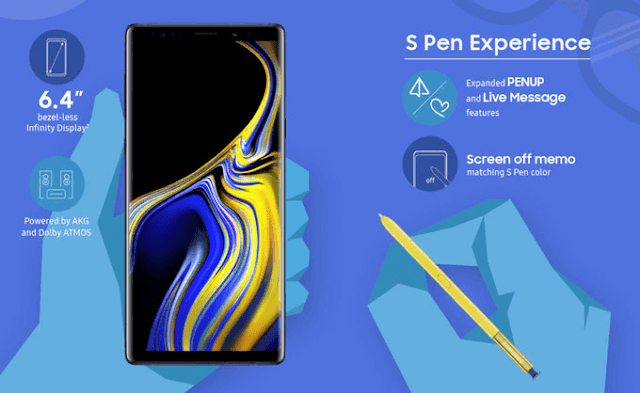 Samsung also claims that they would be partnering with third party application providers to bring new useful features to the S Pen in order to utilize its capabilities to the maximum. The S Pen would be charged in 40-second by simply placing it in its holster cramp on the side of the smartphone while it could deliver a 30 minutes worth of battery life or 200 clicks. The S Pen now has short press, long press and double press which could be used for different task. The another most important upgrade on the Galaxy Note 9 is the DeX mode which can be operated through a single USB-C to HDMI cable. Users will no longer require a DeX Dock and a physical keyboard and mouse to utilize the mode. The Note 9 also featured with IP68 water certification, Corning Gorilla Glass 5, stereo speakers, iris scanning and a fingerprint scanner. 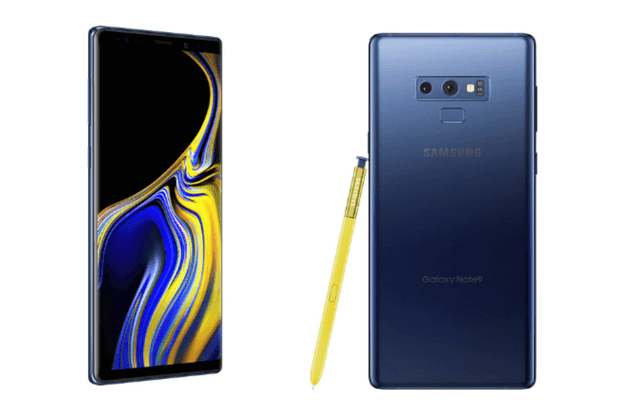 The 6GB+128GB Galaxy Note 9 variant is having a price tag of $999 US dollar while the 8GB+512GB has a price tag of $1,250 US dollar. The device has gone on pre-order in the U.S, U.K and Germany and the sales will begin on August 24. 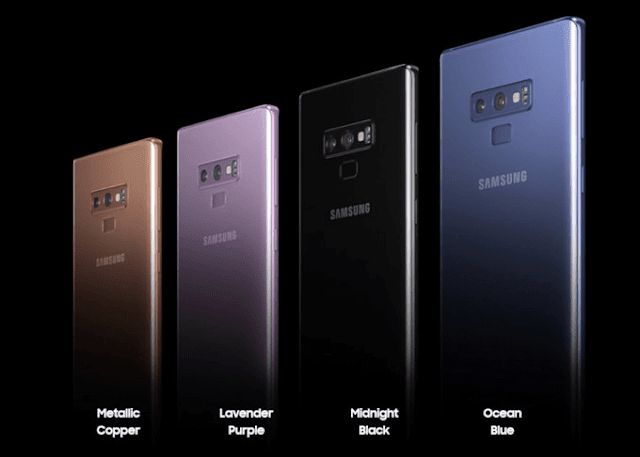 The Samsung Galaxy Note 9 will have four colour options like Ocean Blue, Midnight Black, Lavender Purple and a new Metallic Copper.